Keith Semiday, 42, is being charged with being under the influence of a controlled dangerous substance and resisting arrest. 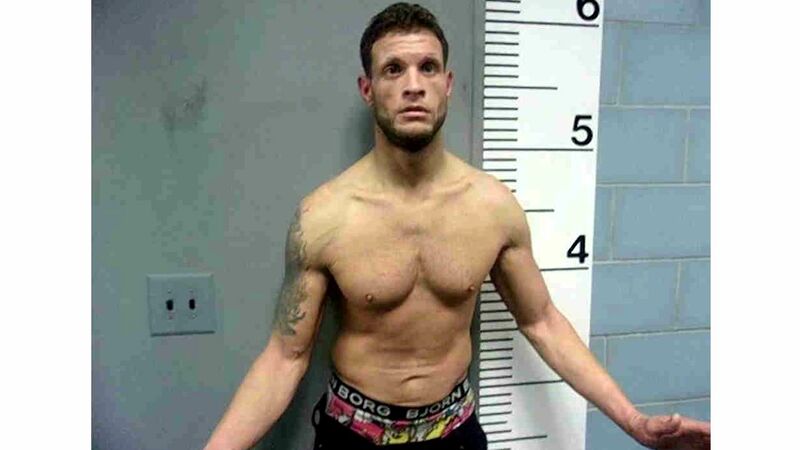 JERSEY CITY, NJ -- A body builder was arrested after police said he was running around the Holland Tunnel toll plaza in Jersey City. At about 6 a.m. Tuesday, Port Authority Police at the Holland Tunnel responded to a report of a man running in and out of traffic at the toll plaza. According to police, he was causing a disturbance despite a sign prohibiting pedestrians in the area. Port Authority police said they saw the suspect try to open the doors of several cars entering the tunnel. They chased him as the suspect ran through stopped traffic at the tunnel entrance. The suspect flailed his arms when being handcuffed by police, police said. The incident caused a roughly 15-minute delay.